SALARY negotiations between civil servants and government yesterday ended prematurely after some workers’ union representatives stormed out of the meeting, accusing their employer of not being committed to improving their welfare. Apex Council leaders, however, said they had given government up to tomorrow to come up with an improved package or they would declare a full-blown strike. But Progressive Teachers’ Union of Zimbabwe (PTUZ) president Takavafira Zhou later accused the Apex Council of making unilateral decisions, adding that since they were not consulted on the latest decision, they were going ahead with the planned industrial action. “Apex Council decisions are done collectively and not unilaterally. The recent unilateral statements allegedly by (chairperson) Cecilia Alexander that Apex Council has postponed industrial action to open room for negotiations is unfortunate and has no locus standi,” he said in a statement. Zhou said they “cannot continue to negotiate for infinity”, adding teachers would withdraw their labour until the impasse was resolved. He accused the Apex Council of betraying the struggle and called for the realignment of the body. “Our withdrawal of labour is certainly not synonymous with a shutdown. Let expedient elements desist from hijacking labour issues,” Zhou warned. “The law is clear that there must be three negotiating meetings, and workers thereafter can either decide to push negotiations by other means, viz industrial action or arbitration. That we gave notice of industrial action means we have chosen the path of industrial action,” he said. The rift between the civil service body and unions was visible as some union leaders refused to brief the media on the outcome of the meeting, while others implored the Apex Council leadership to show character and not deviate from the “agreed position”. Civil servants are demanding $1 733 for the least paid worker. Initially, the union leaders met with government at the National Joint Negotiation Committee, but no new offer was presented. Government recently offered a 22,7% cushioning allowance and 5% per month to its workers on a sliding scale between January and March, but the offer was shot down as pittance. David Dzatsunga, the Apex Council secretary, told journalists that they would be meeting government again tomorrow. “Following the expiring of the 14-day notice given to government by the Apex Council on Friday January 25, 2019, the Apex Council gives the government up to Wednesday January 30, 2019 or face an inevitable job action,” he said. 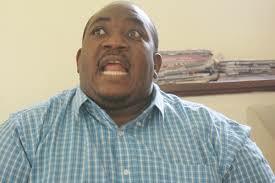 PTUZ secretary-general Raymond Majongwe said government should pay civil servants in hard currency.